Clark Stationery - Carlson Craft - Pearl Border with Dots. To see all designs from Carlson Craft click here and be directed to a sister site. Item Name: Pearl Border with Dots. To see all designs from Carlson Craft click here and be directed to a sister site. Pricing: 100 for $247.00 for this invitation. 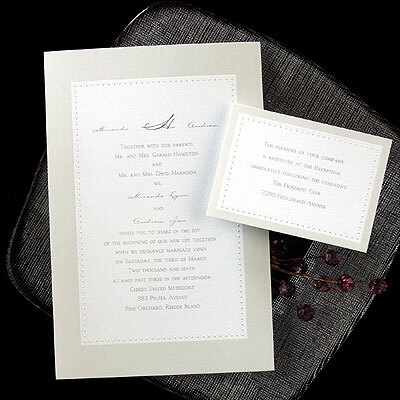 Click here to see pricing for each invitation.